.. and with Sherlock, of course. The Times recently ran a piece of mine on Sherlock’s London. 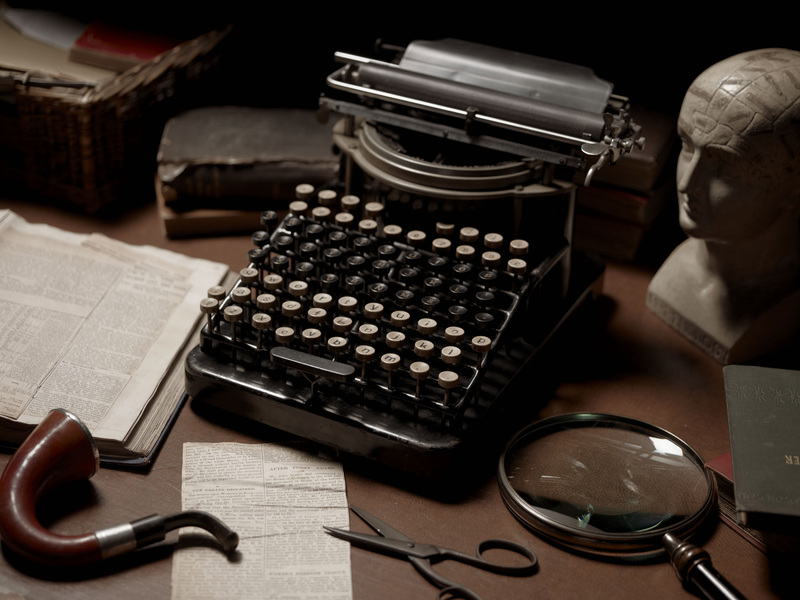 In fact, I wrote two versions of the story, the published piece and a second more prescriptive one on how to plan a weekend around the splendid Sherlock Holmes Exhibition at the Museum of London at the Barbican (www.museumoflondon.org.uk). Given the global popularity of the series, a significant percentage of visitors are expected to come from outside London – so the idea was to help those not familiar with the city find other Sherlock sites. It does have some different recommendations from The Times piece, so I thought I’d reproduce it here. With the game afoot, your first port of call on arriving in London is to proceed at once to the Henry VIII Gate of St Bartholomew’s Hospital at Smithfields and its small museum (bartshealth.nhs.uk), which closes at 4pm. As well as a history of the hospital – where Arthur Conan Doyle (ACD) spent some time – the museum contains a plaque commemorating the first meeting of Holmes and Watson in the building, donated in 1953 by the Baker St Irregulars, a venerable conglomerate of Holmes aficionados. But, of course, this was also the location for Sherlock’s dramatic fall from the roof in the BBC’s Reichenbach Fall episode, which led to the red phone box near the gate being plastered in “Believe in Sherlock” post-it notes. Also check the website of the spectacular glass-roofed triple-tiered Pathology Museum (http://www.qmul.ac.uk/bartspathology/) in the same complex, a gruesome yet fascinating insight into medicine in ACD’s day – he is rumoured to have penned some of his stories in the curator’s office. Sadly, it is only open to the public for special evening events and some afternoons but the website makes clear the Sherlock connection. From St Bart’s it’s but a short stroll to The Museum of London (150 London Wall, London EC2Y 5HN) for “The Man Who Never lived And Will Never Die” (£12/£10) exhibition, which runs until April 2015. Where to eat like Sherlock? Try Simpson’s-In-The Strand (100 Strand, 7836 9112, 020 7836 9112, simpsonsinthestrand.co.uk) one of London’s most traditional and sumptuous dining rooms, pretty much unchanged since ACD’s time, when it was mention in the Dying Detective and The Illustrious Client. Famed for its carved roasts, the closest thing approaching a bargain here is the Fixed Price menu, served early evening until 7pm (not Saturdays or Sundays), £25.75 plus service. Ask for a window seat to emulate Watson ‘looking down at the rushing stream of life in the Strand’ and wear your best bib and tucker. An early start at Speedy’s Sandwich Bar and Café (187 N Gower St, 020 7383 3485, speedyscafe.co.uk) near Euston, a humble caff that has, thanks to its new incarnation as 221b Baker Street’s neighbour in the Cumberbatch/Freeman series, become an unlikely tourist attraction. Here you can dine on a Sherlock (chicken and cheese) or a Watson (veggie, both £4.10) wrap or just fill up on a traditional breakfast (it opens 6.30am weekdays, 7.30am Saturdays). 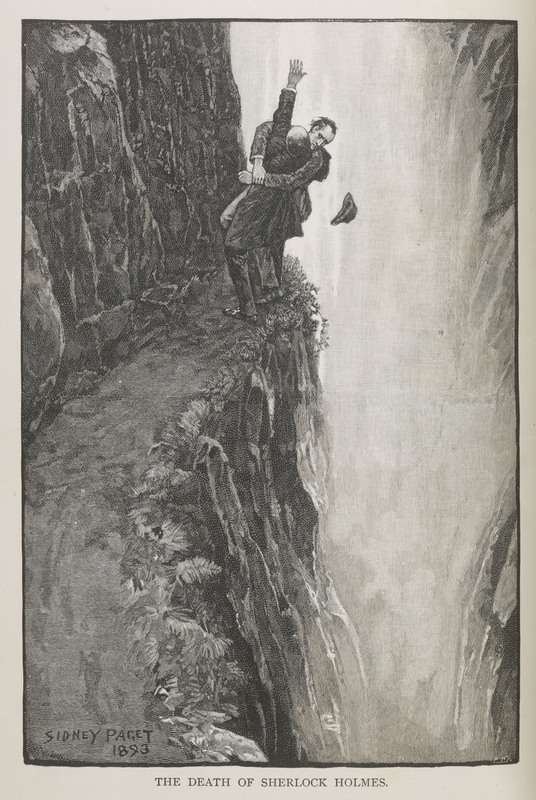 From there, travel to Piccadilly and the Criterion Restaurant, where Watson first heard from Stamford the name of the man who would change his world forever. This is the meeting point for Britmovie’s “In the Footsteps of Sherlock Holmes” walking tour (11am, britmovietours.com, £12). It concentrates mostly on the BBC series and recent Guy Ritchie movies, although it does include the site of the Strand magazine, as well as the memorabilia-packed Sherlock Holmes pub on Northumberland Avenue (sherlockholmespub.com), with its Hound of the Baskervilles association and recreation of the sitting room of 221b Baker St upstairs. It’s a good spot for a pint of Watson’s Wallop or Sherlock Holmes Ale after the tour ends at Somerset House (a Robert Downey Jr. location). London Walks (walks.com) also offers a two-hour Sherlock tour on Friday afternoons at 2pm (£9), which concentrates a little more on the ‘canon’ of ACD stories and finishes up at the same pub. One of the most famous addresses in the world has had a complex history – suffice it to say there was no 221 when ACD wrote his stories. Most people know that the subsequently designated 221 was once the Abbey National HQ, but no longer. The Sherlock Holmes Museum (020 7224 3688, sherlock-holmes.co.uk, £10/£8) bills itself as at 221b, although it is actually at 239, but the townhouse is very similar to the one described in the stories. Some visitors find the museum’s exhibits to be authentically and atmospherically Victorian and Holmesian, others think shabby and careworn nearer the mark, but it certainly has a well-stocked gift shop. Be warned, there can be long queues – you might want to save it for early Sunday (9.30am opening). There is also a ‘talking’ statue of Holmes (see talkingstatues.co.uk) outside Baker St Station, with a script by Anthony Horowitz (House of Silk, Moriarty) and voiced by Ed Stoppard – you’ll need a smartphone to activate the call from Sherlock. Back to the lavishly ceilinged Criterion on Piccadilly Circus for an early evening drink – the bar is a better bet than the dining room – and its plaque commemorating Watson first being told of Holmes and his eccentricities. The Long Bar stills serves a couple of cocktail recipes created here by barman Leo Engel in the late 19th century. Try a Reviver – American whiskey, angostura bitters, lemon juice, soda (£8). Then take a leaf from Benedict Cumberbatch’s book and choose one of his Soho faves – Viet (34 Greek St, 020 7494 9888) for a steaming bowl of pho, Yalla Yalla (1 Green’s Court, 020 7287 7663, yall-yalla.co.uk) for Lebanese or Tapas Brindisa (46 Broadwick St, 020 7534 1690, brindisa.com), which featured in the first Sherlock episode A Study in Pink. The Covent Garden area features in several Holmes stories – the Christmas goose at the heart of the Blue Carbuncle is bought in the market and Holmes solves the mystery of The Man With The Twisted Lip at Bow Street Magistrates. Holmes and Watson attend a performance of Wagner in The Red Circle at The Royal Opera House (020-7304 4000, roh.org.uk), where he would also have seen the Polish tenor Jean de Reske mentioned above. On selected Sunday morning, the House offers tours at 10.30am (75 mins, £12) of the beautiful auditorium and its backstage areas. 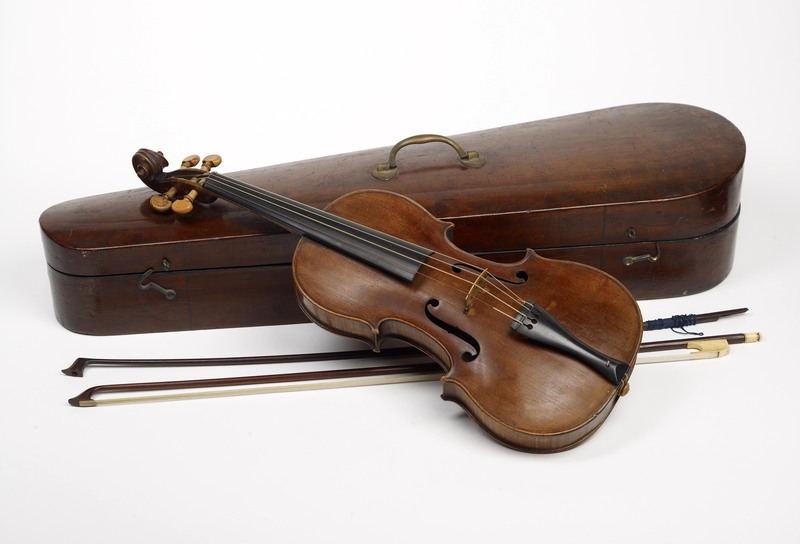 A Violin made by Duke of London, era-appropriate for Sherlock, but not the Strad he picked up for a song along Tottenham Court Road. Alternatively, see a live performance of the German music Holmes loved. Sadly, St James Hall on Regent St, Sherlock’s other favourite music venue, no longer exists, but he (and ACD) would have been to the Renaissance-styled Bechstein Hall on Wigmore St, which was a showcase for the piano company, but during WW1 was renamed as the less Germanic Wigmore Hall. It puts on Sunday Morning recitals of Mozart, Haydn, Beethoven etc for £12.50, including coffee or sherry. You can stroll afterwards to Upper Wimpole St where, at No2, a plaque indicates the ophthalmic practice that ACD set up in 1891, the year the first six Strand Holmes stories were published, and afterwards visit Marylebone Farmer’s Market (lfm.org.uk/markets/marylebone/) – another Cumberbatch favourite. 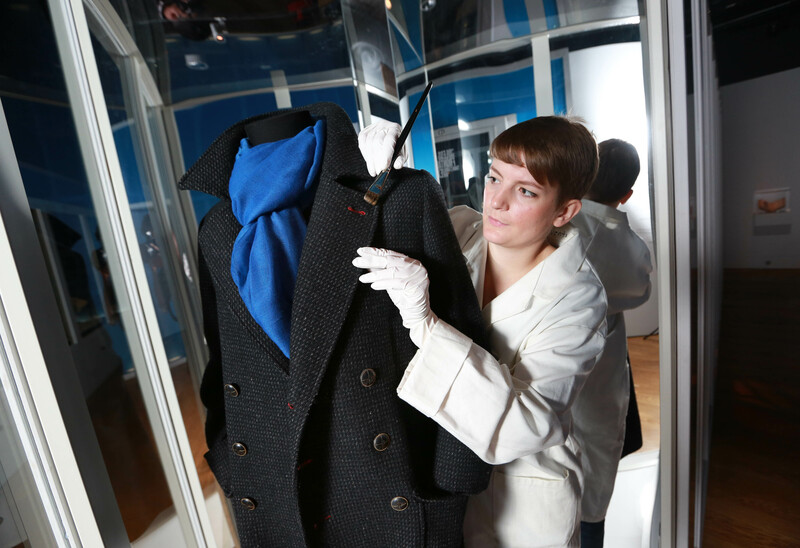 WHERE TO STAY: The Park Plaza chain, which includes the Sherlock Holmes Hotel at 108 Baker St – which is not, despite the name, especially themed – has a London Museum Sherlock Exhibition Package at all its properties in the capital. It costs from £188 per room per night, including B&B, two exhibition tickets with exclusive fast track anytime entry, a souvenir book and 10% discount on purchases in the Museum’s gift shop. Details: 0800-169 6128, parkplaza.com. 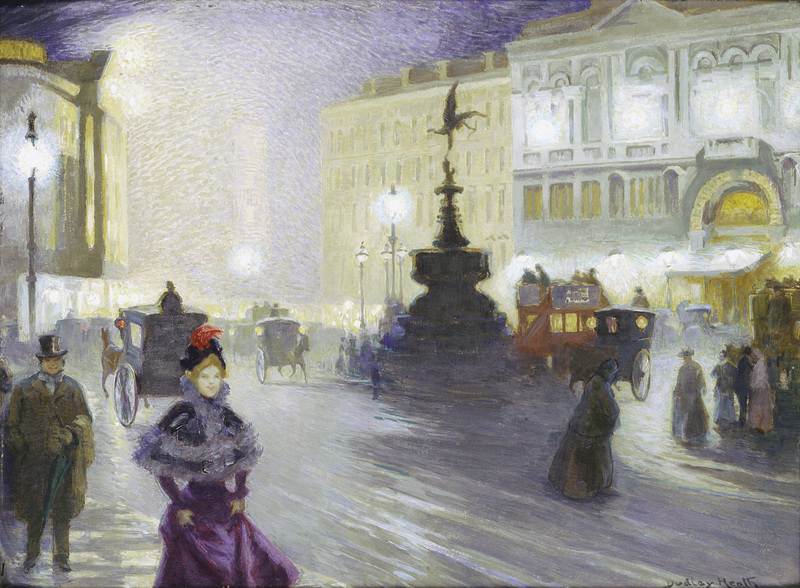 The Langham, opposite the BBC on Portland Place, is an important hotel in Holmes lore (it was where ACD was commissioned to write The Sign of Four, Sherlock’s second adventure, when he dined with Oscar Wilde in 1889) and features in A Scandal in Bohemia, The Disappearance of Lady Frances Carfax and The Sign of Four. It also has a package with two tickets, from £329 B&B per night (020 636 1000, london.langhamhotels.co.uk). * Robert Ryan is the author of the novel The Dead Can Wait, which features Dr. Watson (Simon & Schuster, £7.99). Thanks to The Museum of London for the images. This entry was posted in Books, Travel and tagged Cumberbatch, Hollmes, London, Sherlock, Watson on October 29, 2014 by Robert Ryan. am considering swapping my PC for a typewriter.